ORDINARY MOMMY DESIGN: Marshmallow Men. 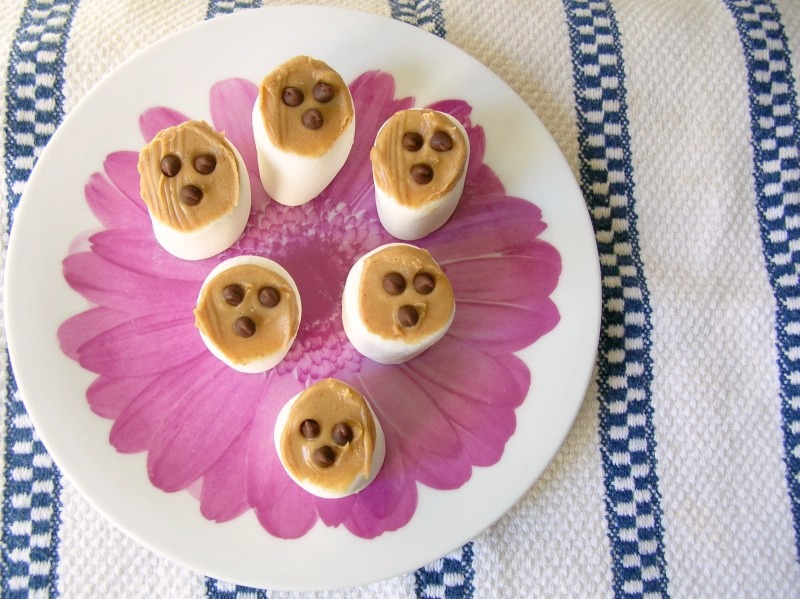 These sweet little treats take only a moment to make, but they sure do taste good! 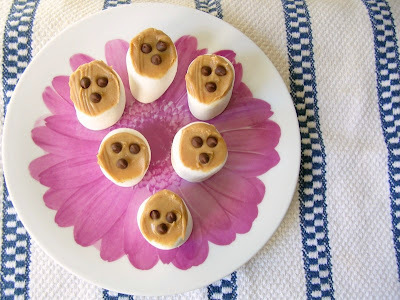 We don't actually celebrate Halloween at our house, but if you do these can make fun little ghosties (just squeeze the marshmallows a bit to elongate them)! My kids have taken to calling them marshmallow men. 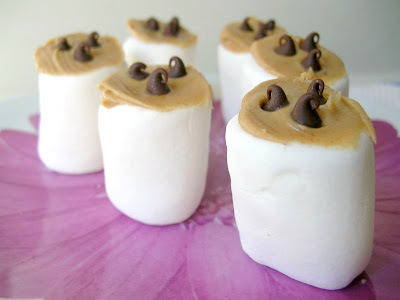 To make these fun little guys simply spread peanut butter (Nutella would probably be good too!) 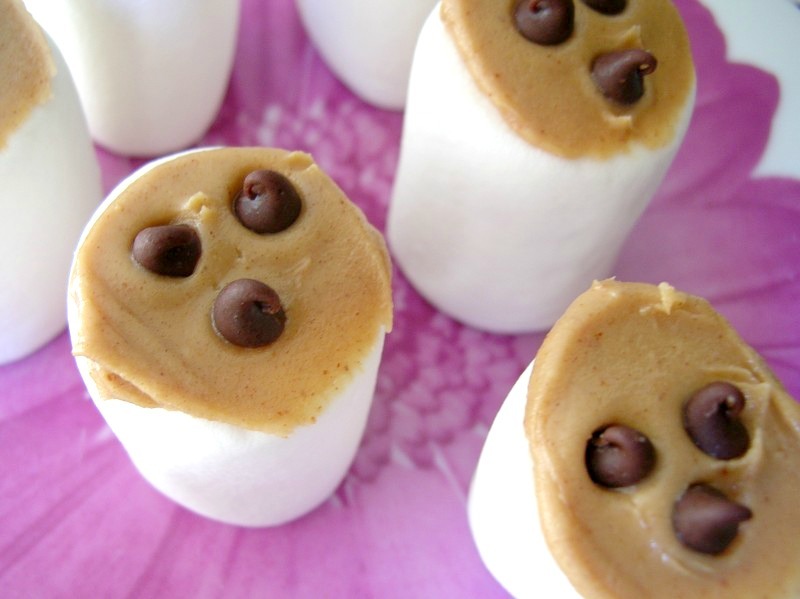 on the top of a large marshmallow, and make two eyes and a nose with mini chocolate chips. Don't forget to share them with the kids! Nutella on these would be saucesome! Cute! These are adorable! Love it!